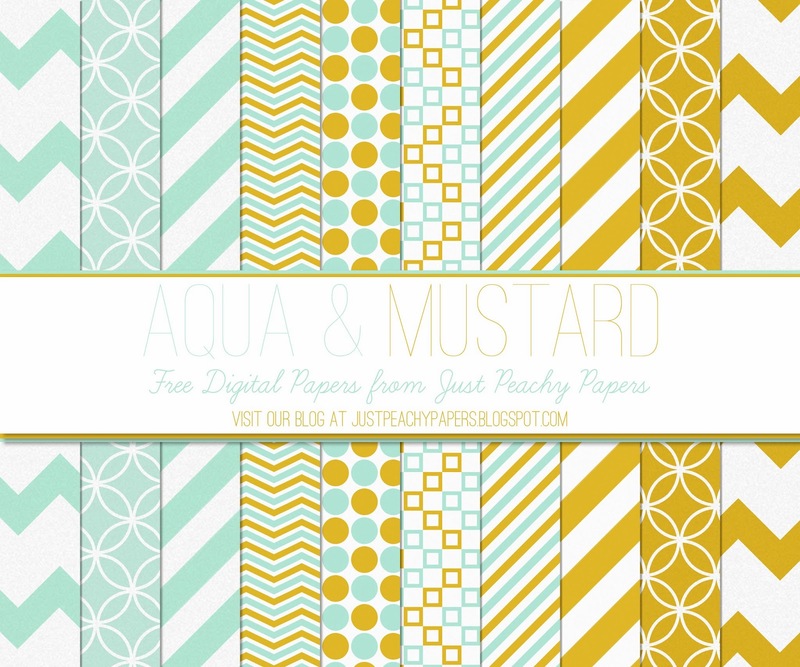 Here's a set of 12x12 digital papers featuring stripes, chevrons and various other patterns in aqua and mustard. Mustard is one of those colors I don't like much on its own, but pair it with certain other colors - like aqua - and it's amazing! Thanks for sharing these! These will surely come in handy. Digital paper is very versatile, and looks way better than normal paper, so these should turn out great!